You are here: Home / Reviews / Shopmium review: Is it a supermarket cashback app worth downloading? 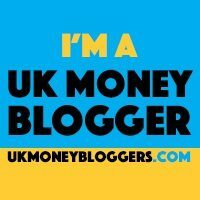 If you’re a savvy shopper at some point you’ve probably used TopCashback or Quidco to get cashback on your big tickets items such as electronics, insurance and holidays. If you haven’t used them yet, what are you waiting for? These two platforms aren’t that great if you want to save money on your regular supermarket shop though and let’s be honest who doesn’t want to save on their weekly shop? Both TopCashback and Quidco offer you savings a supermarket’s delivery service. Though Clicksnap from Quidco does offer you a supermarket cashback alternative, worth considering. A lot of my fellow personal finance bloggers have previously highlighted the benefits of Shopmium and it gets a five-star rating in the app store, so I thought I’d have a look and see what all the fuss was about and whether it was a worthwhile download. What is Shopmium and how easy is it to use? Shopmium is a supermarket cashback app and website that looks to fill the void which both TopCashback and Quidco leave with their supermarket offerings. You’d be forgiven thinking that this is a new app, but in fact, it started in France in 2011. The idea is simple enough. 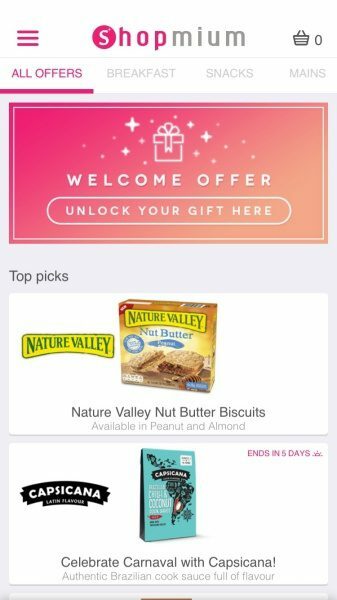 The app uses your location to provide offers from supermarkets nearby. Your cashback is paid out to you via Paypal or directly into our account. The operators of the app say that payment will be made within three business days if you choose payment by Paypal or seven days if you choose bank transfer, so long as there aren’t any issues, such as a blurry photo of your receipt. If there are any issues you will be invited to upload another picture of your receipt, so remember this before you decide to shred it. They also currently make your name and postal address available to third parties to help in their own marketing activities. This might be because they are owned by a digital promotion and market research company. So is it a worthwhile download? For me and for those like me that try to stick to supermarket own brands wherever possible, I don’t think that the app is of that much use. While writing this review I have an offer on a branded “Energy Water”, Catus Water and a foaming shower gel, maybe if these were items that were going to become staples in our household then I could see the benefit in trying them beforehand. It’s also worth noting that if you do sign up for the service to try it out if you want to cancel at any point you will have to email Shopmium directly, this can’t be done via the app or website. A service that doesn’t allow you to deactivate your account directly always gets my alarm bells ringing. Have you used Shopmium? If so what do you think? Is it a worthwhile download or one that you just don’t have any interest in using?